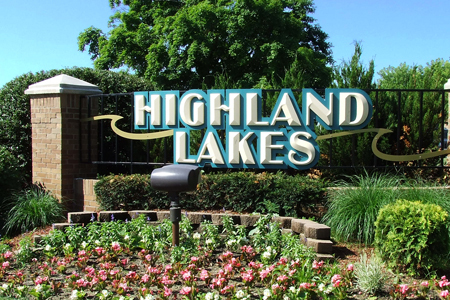 Highland Lakes does not permit trailers, boats, RV's, motorcycles, ATV's and a variety of other recreational vehicles in our courtyard parking spaces. There is however, a gated and locked RV Lot off of Russ Fogg Drive, which is maintained by the RV Lot Committee. Residents wishing to use the RV Lot must fill out a request form and pay a very small yearly fee. Space is limited, so names are placed on the waiting list, with temporary parking available in the clubhouse lot. Fees collected are used to maintain the RV Lot. Click Here to Download an RV Lot Application.